A few years ago our partner, Mathare Community Outreach (MCO) (KEN01b), was given a children's hostel in Maseno, near to Kisumu (KEN06). However, little funding to run the hostel meant that it could not be sustained. An exit plan was developed and over a period of years the number of children was decreased. As the programme ran, BHW partnered with MCO to develop income generating activities on the land and also on a nearby piece of land that they acquired. In 2014 the last of the children were removed and the annual discipleship programme (KEN06a) used the facility as a base. The need for generating income for the MCO ministry is increasing so it was decided to continue the development of the nearby piece of land into a dairy farm. 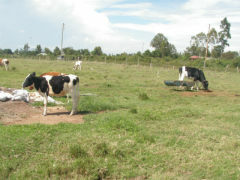 This project is to extend the existing project which over time has seen the development of a small herd of dairy cows. Currently there are two mature cows, three heifers and two bulls which will be sold. 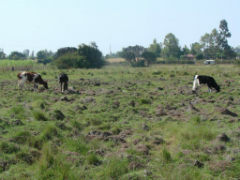 MCO has 16 acres of land which will be developed into sustainable pasture. Currently it only has native grass which is not suitable for milk production. The plan is to initially grow 1 acre for fodder and 4 acres for green feed using Rhodes grass and legumes. The water will be upgraded as currently there is not enough available to the animals. They hope to consistently milk five cows in the first expansion and then grow it from there. Some infrastructure will need to be built and this includes a water tank and tank stand, some fencing, a milking shed, and some small pieces of equipment. In addition, some of the land will need to be levelled and planted with Rhodes grass. The increase in the number of cows will come from natural reproduction. 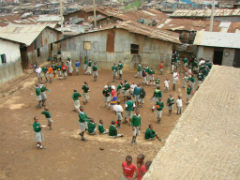 BHW has been partnering with MCO-OCC in the Mathare Valley since 1999. Over that time the school has grown from around 100 children to more than 1,500 so education has been part of the strategy since the partnership began. 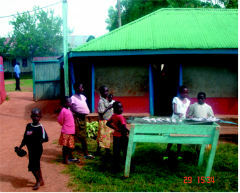 In 2009 MCO was given a small hostel in Maseno, near to the Uganda border. Vulnerable children were living there. BHW worked with MCO to attempt to make the hostel self-sustaining and a number of initiatives were commenced. Unfortunately they were not able to sustain it and over subsequent years the number of children dwindled. However, it was an ideal location for a discipleship programme and the first programme was initiated in 2013. During this time BHW has also been working with MCO to commence income generating activities to provide financial resources. This has been slowly developing and in early 2015 the decision was made to help them financially with the development of a dairy farm. The beneficiaries of the project will be the MCO organisation. They are involved in a number of education programmes in the Mathare Valley of Nairobi. They also run an annual discipleship training programme for those leaving secondary school. There is a good guy there, whom we know, to oversee the next stage of development. He is a natural farmer and has participated in the Foundations for Farming training BHW has organised. The land is not great, but is adequate for this purpose. Without some investment there is little hope of ongoing growth as it is under-capitalised. The purpose for which the profit will be used is good, MCO has a real concern for the poor in the Mathare Valley and we have a long association with them. We know them well. Oscar Oningo is the farm manager. Oscar is married and has two children. His wife does not live on site and has employment with the Centre for Disease Control near to Kisumu, about 50 kms away. She comes each week for a few days. He is a born again Anglican and has a very strong faith. Oscar has a farming and marketing diploma and he is passionate about the environment. He has a small tree nursery and a huge garden which means the place is almost self-sufficient in vegetables. He has leased more land and is growing grass for the cows and maize. He is an ideal person for the position. We have worked with him over a number of years. He learns well and has worked well with the BHW team developing the farm and in Foundations for Farming. The vision is to generate as much income as possible from the farm to assist with the operations of MCO ministry. The first step is to get five cows regularly producing good quantities of milk which will be sold. The strategy is to develop the basic infrastructure which will generate enough income and profit to allow the farm to grow over time. In five years there will be more cows, and perhaps more land somewhere nearby. The ideal would be to see a large dairy farm operating profitably. 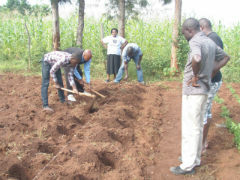 An initial one-off amount of US$6,824 is required to implement this next stage of development and the farm will then be self-financing. There is the potential for this with five cows to generate about US$7,000 profit annually.